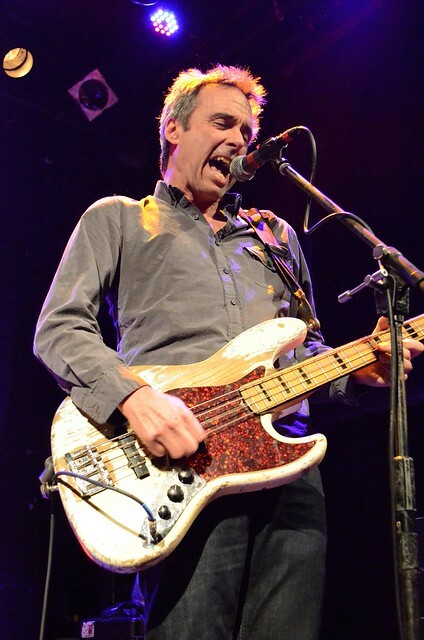 Mission of Burma has accomplished a singular feat among rock acts. They are both one of the seminal and most influential early post-punk bands and also one of the most compelling current purveyors of the genre. At Bowery Ballroom on Friday night, both aspects of the band’s catalog were on display. MOB is currently playing shows featuring their newest album Unsound (Fire Records), and the setlist included six of the album’s eleven tracks. The new material was seamlessly mixed in the set with older material, going all the way back to the earliest single “Nu Disco”, the band’s best known early song “Academy Fight Song”, and one of their best covers (from The Horrible Truth) the Stooges “1970” (streaming below). Throughout the night what was on display was the band’s singular proficiency at their instruments. Roger Miller’s genre-defining guitar work, Peter Prescott’s aggressive drumming and Clint Conley’s angular bass work define this band’s legendary sound. 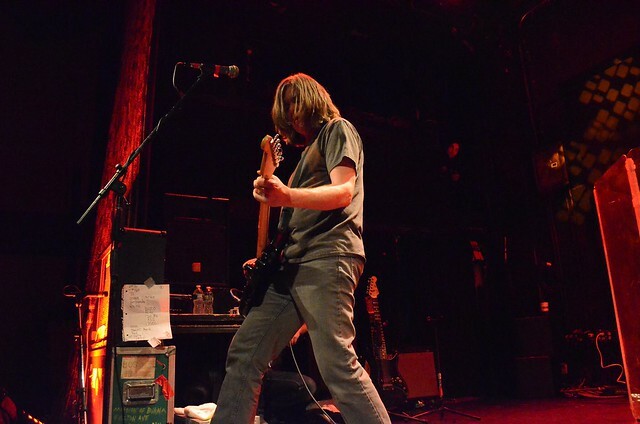 But also on this tour the band’s has been accompanied by a horn duo, and as is traditional, tape wizard Bob Weston joined on bass for the final encore “Good, Not Great” (also streaming below). Mission of Burma doesn’t really “tour” as much as they play a handful of shows in spurts throughout the year. NYC was the final show of January, but the band will return for three shows in the Southeast in March. I recorded this set with the four microphone rig from the balcony rail and the sound is excellent. Enjoy! this band is a milemarker, love them since “peking spring”. one of this bands who influenced me in the early eighties. Yes, there are something like 10 NYCTaper recording of MOB on the archive, where this one will also eventually go. We’ll upload it there after it moves off the front page here. The show took place on the 18th and I edited the recording on the 19th. The reference to 01-13 was a typo and has been corrected. The date of this show is an historical fact that could have easily been confirmed online, and is correct in the title of this post. If you prefer a complete lack over typos instead of receiving a free recording of the show within 36 hours of the event, please let me know and I’ll spend more time on editing more precisely rather than posting so quickly. Thanks for explaining. I apology if my comment offended you. That was not my intention (english is not my first language).